Survivors are a unique group of people. Some people call us survivalists, doomsday preppers, or patriots. You may not consider yourself any of those things. Whatever you may want to call yourself, if you're reading this, you are on the first step to helping your family survive, no matter what. I HAVE A BUG OUT BAG, NOW WHAT! Getting started with the concept of prepping can be a case of information overload. There is so much to think about and so much to do and purchase that people often give up on the idea before they even start. 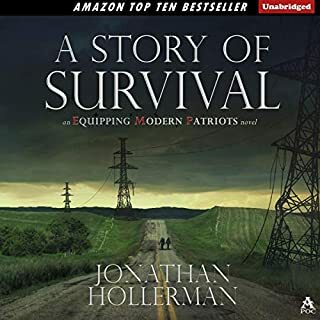 This audiobook is especially for those people, it tells them all about the first item any prepper should have ready - a bug-out bag. It explains what bugging out means and why they should have a bug-out bag with survival kit for 72 hours ready to go. 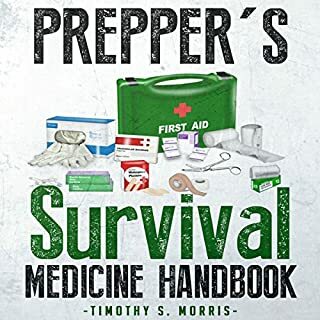 The step-by-step approach means that it is easy to follow, meaning everyone can have a quality bug-out gear prepared for when a disaster strikes. It tells you exactly what is in a bug-out bag and gives you a list of bug-out kit items that you will need. None, of this bug-out gear is expensive, which means that everyone can actually have a bug-out bag ready to go when disaster strikes. 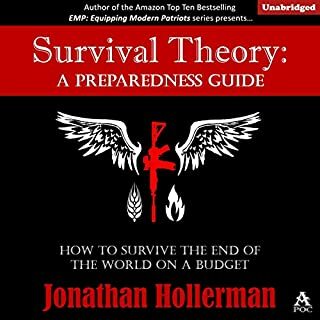 The book explains why each and every member of your family needs to have their own bug-out bag and what that bag must contain. When disaster does strike, it is indiscriminate. It will hit everyone. It will be left to you to ensure that you can keep your family alive until help arrives. This book will help you do just that. 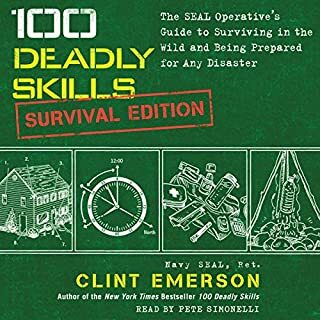 The audiobook comes complete with a bug-out checklist at the end of each section so you can be ensured that you have all the kit assembled. 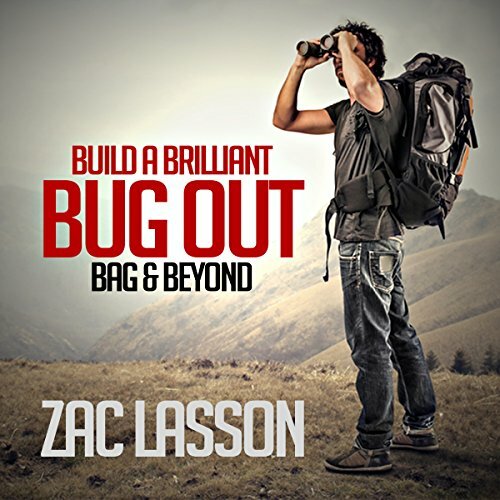 Where does Build a Brilliant Bug-out Bag and Beyond! rank among all the audiobooks you’ve listened to so far? Probably ranks in the middle somewhere, because it's not a story, but a book of information only. What was one of the most memorable moments of Build a Brilliant Bug-out Bag and Beyond!? The fact that if I tried to do this on my own, I would've forgotten quite a few "essentials" ... such as T.P.! What about Jason P. Hilton’s performance did you like? Simple specific and just what you need. 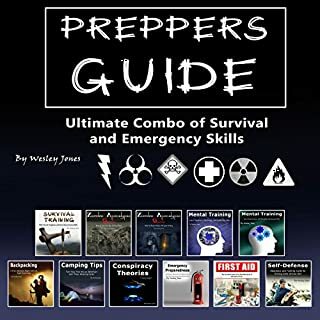 I read many of these books on bug out bags and preparation and found that this book is although very basic it does provide a simple look at an approach of preparing ones self and his family to be ready to bug out in an event appropriate for its use. 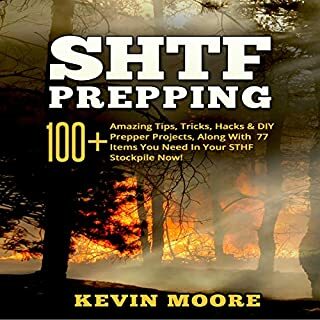 Great book for the first time of prepping without really deep focused explanations of many many different skills and supplies or products but covers s good general terms easy to understand to get the job done. Overall I liked it and learned a few things. Good luck. To the point, clear and easy to grasp the information. Will keep for future use. It's to the point with good tips. A good start to starting get your bug out bag ready. Probably not for the more advanced prepper though, they probably already know most of whats discussed. All in all a good reference for the beginner. Very informative, basic and easy to follow. Great Read, this is perfect for those just getting into this as well for the ones that have been doing this. Just enough to get you thinking and a nice starting point for your bug out bag and caching supplies if safe spots are required.